1. Prepare the kale by washing it and removing the large center stem from each leaf. Stack the leaves on a cutting board and slice them into one-inch thick slices. 2. In a large, covered frypan, heat the olive oil over medium heat. Sauté the onion and chili flakes for about 6 minutes, stirring frequently, until the onions are lightly browned. Add the garlic, and stir for another minute. 3. Add the pineapple and its juice to the onions and bring to a simmer. Stir in the kale, cover, and simmer for about 5 minutes, stirring a couple of times, until just tender. Mix in the peanut butter and parsley (if using) and simmer for 5 minutes. Add salt to taste, and serve topped with crushed peanuts, over couscous, rice or other grain. Thank you for including my kale and wheat berry salad in your roundup! 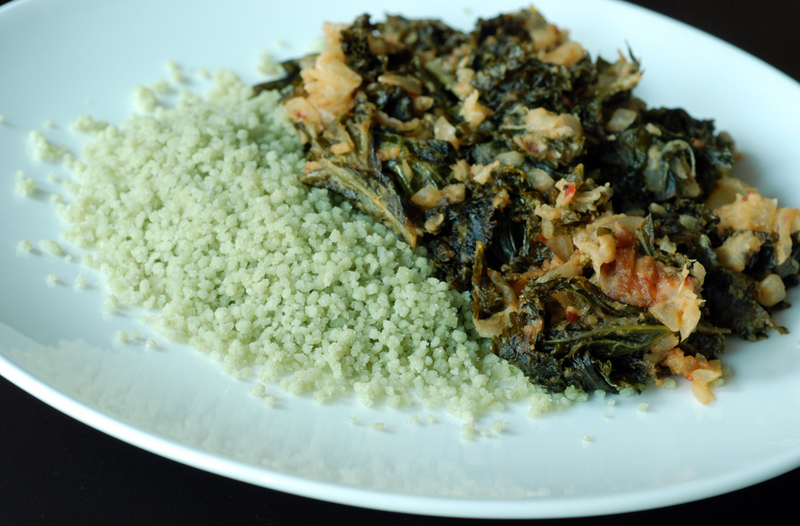 The African spin on a kale and peanut stew looks awesome. I subscribe to the Nutrition Action newsletter too and always find it fascinating to read the latest issues. What a great roundup and thank you for including the YumUniverse recipe (try it out with quinoa too). I am really looking forward to tackling some of these recipes! This sounds super delicious. I’m not surprised to hear the report on kale – it definitely lands in my body as the healthiest veggie. When I am craving “vegetable” I am usually craving kale! I can’t believe I didn’t know about it for the first 20-something years of my life, since now I consume it weekly. Thanks for such a detailed description of the stew, too. I always feel like I can easily tell from your posts if a recipe will be something I’ll enjoy! I have heard about African peanut soups and they are so intriguing. This looks delicious! Also I appreciate the kale roundup since I have my last few bunches from the farm! I love this, I wish I knew more about African cooking! Thanks for taking part in PPN. I need to eat more kale! I think that our body produces most of the vitamin K that we need? But even forgetting kale’s vitamin K contribution, it’s an amazing vegetable! I’ve seen other African stews/soups and find it intriguing the way they combine flavours like peanut butter and pineapple. 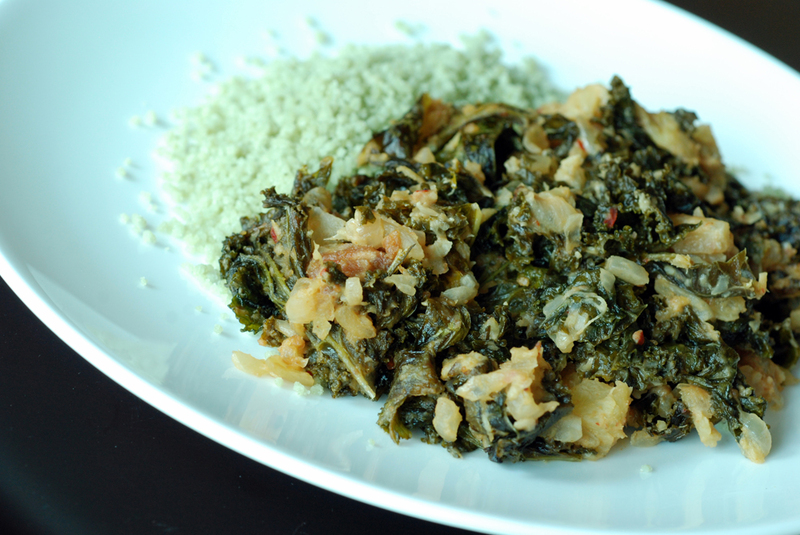 Kale is so versatile and is lovely for soups since it doesn’t wilt into nothingness. Oh and I love the Nutrition Action health letter. I didn’t know of its existence until a year or so ago when my classmate offered me a gift subscription (since you get to give a free one if you subscribe yourself).